When you have a lot of items to ship from one corner of the world to another and they’re also very heavy, it’s obvious that using standard shipping services is not going to work out. That’s because shipping your stuff this way will cost you several thousand dollars or even more. 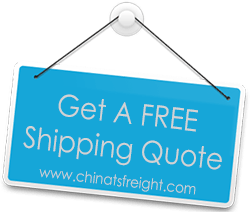 However, you can greatly reduce shipping costs and at the same time have the peace of mind your items will reach their destination on time by using container shipping. In fact, there are many of advantages to containerization and about some of them we’re going to talk about below. One of the main benefits of cargo containers is that you can actually ship them almost anywhere in the world. For instance, if you want to ship a car or 10 cars from China to the US, that is not a problem. You just need to get in touch with a reliable sea freight company and talk to them about your shipping needs. Based on your order, you can also qualify for discounts. A container can range in size from 8 to 40 feet and this means that you can utilize that space in any way you like. As long as what you want to ship will fit in it, everything’s fine. Container shipping is a great idea if you’re planning on moving to another country and want to maybe ship all your furniture, your refrigerator, electronics and many other items to your new home. There are also containers available for those who want to ship perishables and also chemical substances. These ensure that your items are safely shipped to your destination and will not be damaged during transportation. Compared to bulk transport, the cost of shipping your stuff in containers is about twenty times lower. Yes, you heard that right. In fact, renting a container may be possible with as little as one thousand dollars or even less, depending on size and the shipping company you plan on using. When it comes to transshipment operations, they are rapid and minimal. With port turnaround times being reduced from three weeks to just twenty four hours, you can easily realize that containerships are a lot faster compared to using a freighter ship. Therefore, if you want to ship heavy and numerous items safely to almost any destination in the world, all you need to do is consider a container shipping service and you can have the peace of mind your stuff will reach its destination safely and on time.